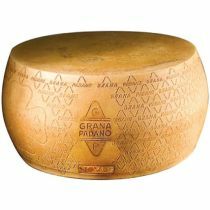 Like Parmigiano Reggiano, Grana Padano is a semi fat hard cheese which is cooked and ripened slowly (for at least 9 months, then, if it passes the quality tests, it will be fire-branded with the Grana Padano trademark). 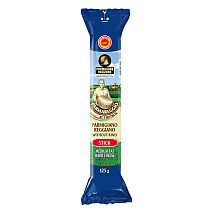 Parmigiano Reggiano Stick is a cheese with a delicate taste. 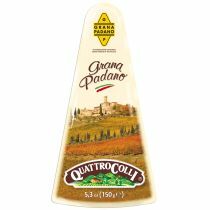 To fully appreciate it, try it grated on your dishes or in slivers to accompany a second course. You will feel the typical aroma of milk and butter, accompanied by vegetal notes, such as herbs, boiled vegetables and fruit. 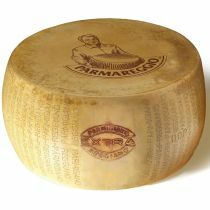 Parmigiano Reggiano 14 months is a tasty and harmonious cheese with a crumbly, balanced texture. To appreciate it fully try it grated on your favorite dishes or use it as an appetiser to feel the aromas with dried fruit and spices. The product contains no additives, colorings, preservatives and flavorings. The 30-month cured Parmigiano Reggiano is the richest in nutrients, as well as being the driest and having the most friable and granular texture. It has a bold, yet balanced flavour with an intense and persistent aroma dominated by spicy and dried fruit notes. It can be combined with full-bodied red wines as well as with white passito and meditation wines. 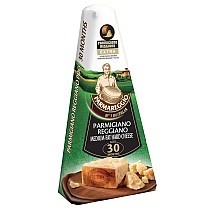 Its great digestibility makes the 30-month old Parmigiano Reggiano ideal for children’s diet. 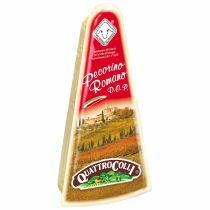 Pecorino Romano can be used as you would parmesan, however it is a bit sharper in taste, so use less than you would normally use of the parmesan. Try it with Green vegetable pasta or in pesto. 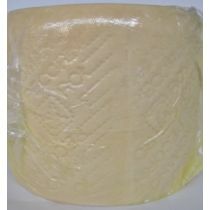 Soft and creamy processed cheese traingles based on Parmareggio Reggiano, the first ingredient and only cheese of the recipe. 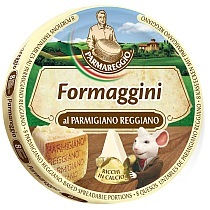 Formaggini are creamy, spreadable cheese triangles, made with 25% Parmigiano Reggiano DOP. Naturally rich in calcium and Vitamin A and contain no preservatives. A great spread on bread or enjoyed on thier own as a quick snack, ideal for childrens lunch boxes and delicious dropped into a bowl of soup.